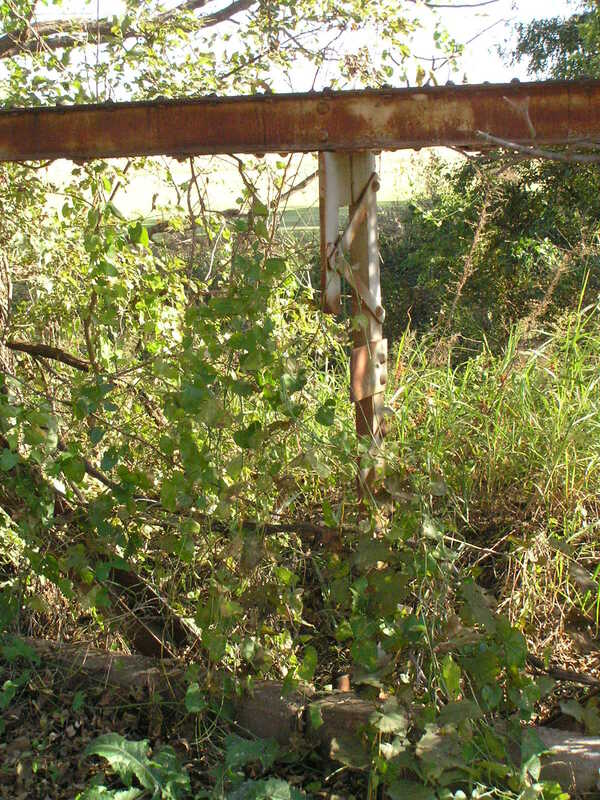 Old OK 104 Choska Creek Bridge, Wagoner County. 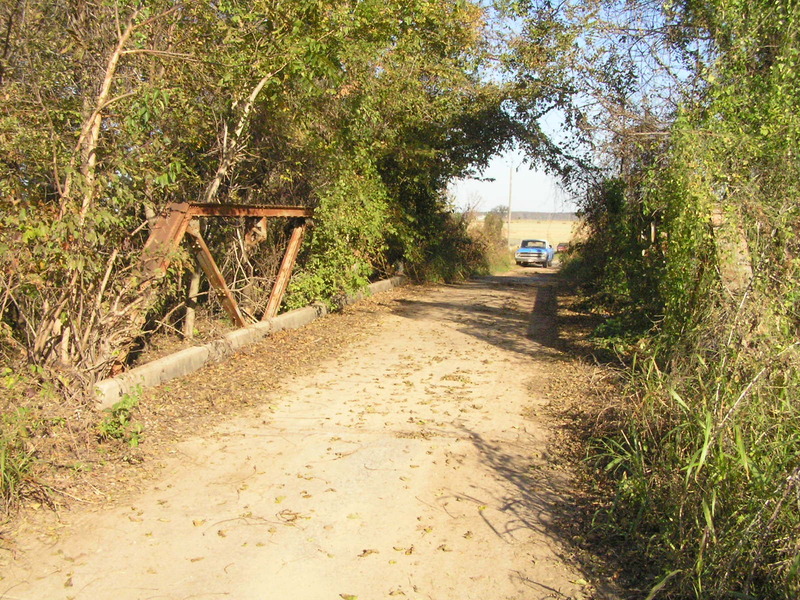 Built in 1922, this bridge sits just yards away from the old truss bridge crossing the Arkansas River on an abandoned road. 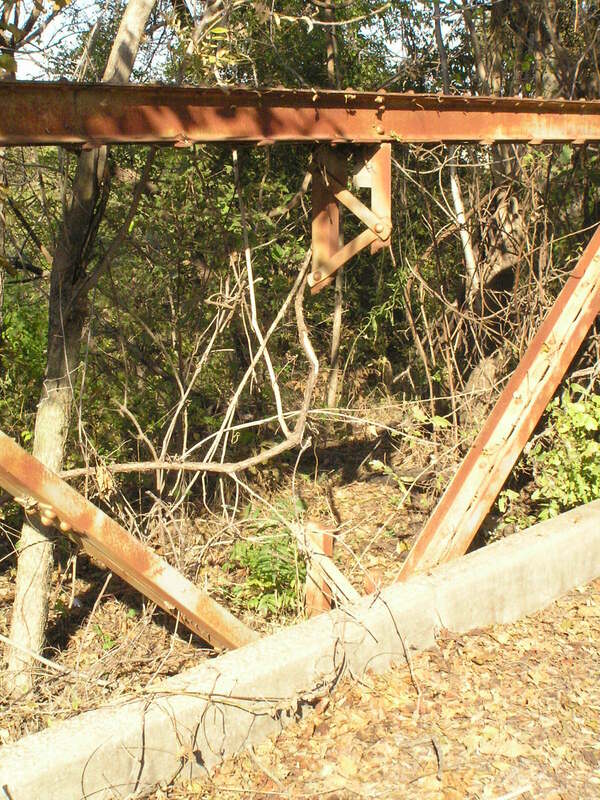 Above, the bridge was discovered by accident while walking th the river bridge. It is a 3-panel long Warren with verticals pony truss 45 feet in length with a nice concrete deck, complete with curbs. Note a few parts are missing. Above, it appears one of the verticals is missing! Below, not much of this one remains, either. Above, even most of the lattice safety railing is gone. 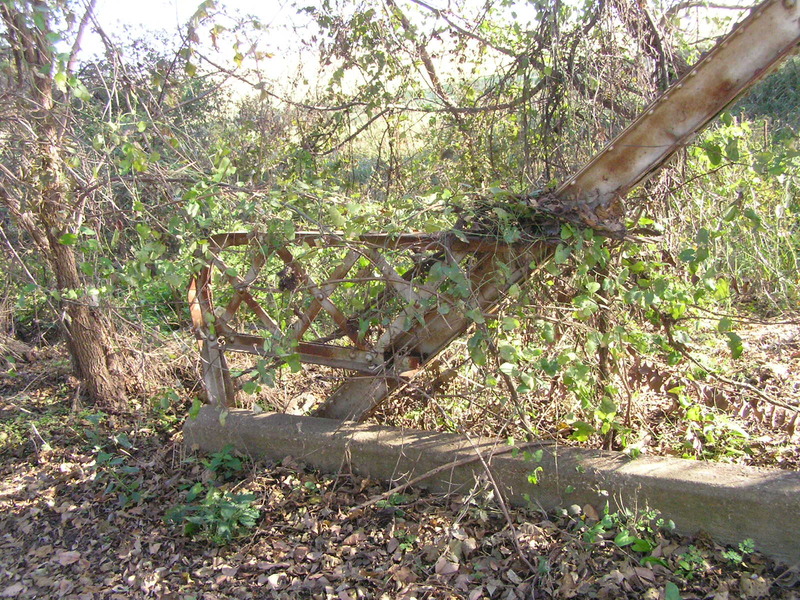 With the bridge being abandoned, it is likely that the county, or some individuals have taken bits off as they have needed, with a cutting torch!